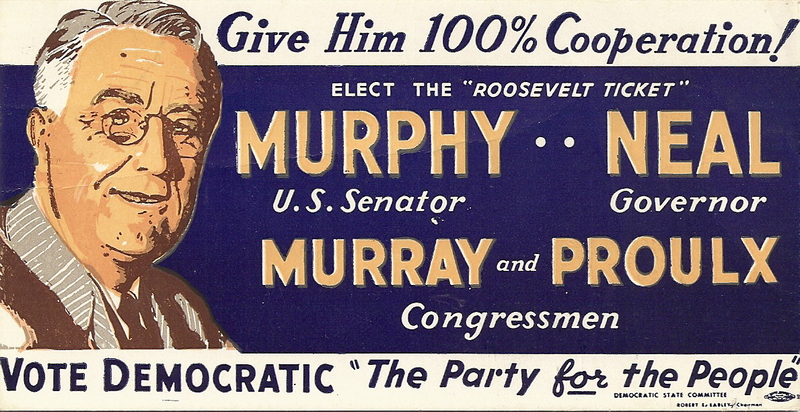 Despite having won New Hampshire for himself in 1936 and 1940 (and would again in 1944), this request went unheeded by the fiercely independent voters of the Granite State. In the era when New Hampshire was much more likely to support New England-style moderate-to-liberal Republicans, all four of the candidates listed on this postcard lost. Posted in 1940s, Government, History, Politics, Retro/VintageTagged advertising, Americana, campaign, Democrat, election, elections, illustration, party, political, race, vote, votingBookmark the permalink.